Captain Ferber was a central figure in the revival of European aviation. 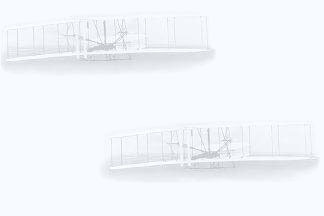 Early on, he recognized the advantages of the Wright's designs, and tried to copy their airplanes. Unfortunately, his copies bore only a surface similarity to the Wright brothers' efforts. Looking at the photographs of his craft, it does not seem as if Ferber had an interior beam in his wings. Without an interior support, the wing surface won't be properly curved. 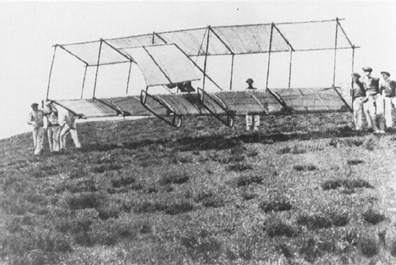 Ferber was killed while his landing Voisin plane fell into a ditch. This page created 4/13/00 by webmaster Steve Wright.